Poughkeepsie… From service providers and community organizations, to special-education teachers and volunteers, countless residents throughout Dutchess County have chosen to #ThinkDIFFERENTLY and enhance the lives of those living with special needs. 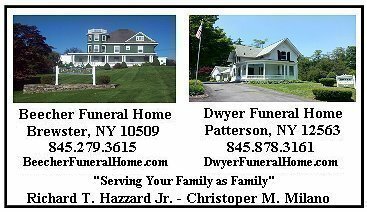 Those contributions will be recognized at Dutchess Stadium in August, with the presentation of the “Pulling Each Other Along” Award, part of the second annual Disability, Dream & Do (D3) weekend for children and young adults of every ability. 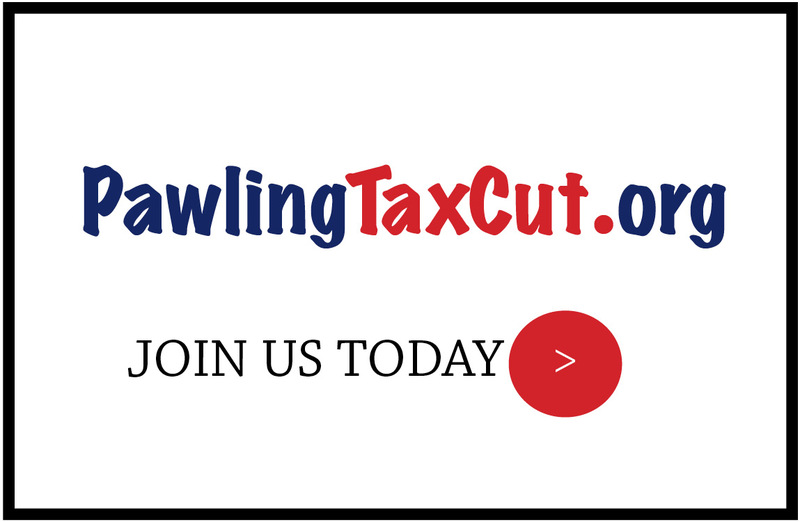 for the “Pulling Each Other Along” Award, which recognizes the notable contributions of those who have selflessly helped others in the disability community. 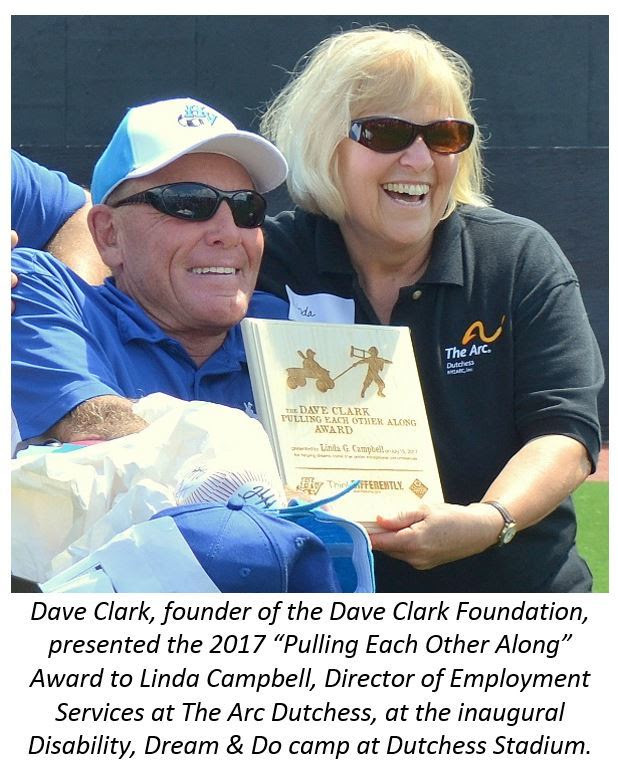 Presented by the Dave Clark Foundation, the award is a highlight of the D3 weekend at Dutchess Stadium, which includes a free baseball camp for those with special needs on Saturday, Aug. 18 and the award presentation on Sunday, Aug. 19 prior to the Hudson Valley Renegades’ game against the visiting Brooklyn Cyclones. 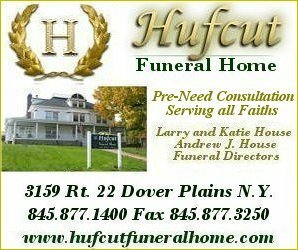 The award is presented by the Dave Clark Foundation, which operates the D3 Baseball Weekend. 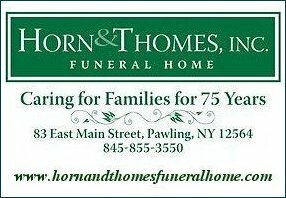 The foundation’s co-founder, Corning native Dave Clark, was diagnosed with polio as a child and needed the assistance of crutches and leg braces to walk. As a first-grader Mr. Clark was filled with anxiety when his class was scheduled to take a field trip, walking several blocks away from their school. A classmate selflessly brought his Radio Flyer wagon to pull Mr. Clark along alongside his classmates. The “Pulling Each Other Along” Award is a testament to the generosity and altruism of those, like Mr. Pound, who contribute to special-needs community. 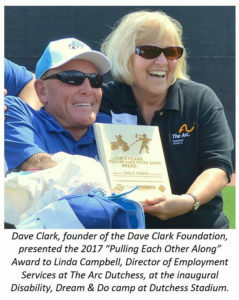 Linda Campbell, the Director of Employment Services at The Arc Dutchess and an advocate for those with special needs for more than four decades, was the recipient of the 2017 “Pulling Each Other Along” Award at Dutchess Stadium. The second annual D3 Baseball Camp at Dutchess Stadium, which takes place on Saturday, Aug. 18, allows children and young adults of all abilities to learn the game of baseball alongside professional players and coaches from the Hudson Valley Renegades, a minor-league affiliate of the American League’s Tampa Bay Rays. Reservations for this free event can be made online at d3day.com; participants will receive a complimentary T-shirt, hat, lunch and tickets to the Renegades’ game on Sunday, Aug. 19.